Sofas, Chairs, Meatballs...oh my! Yes, that is just a few of the items that IKEA will be giving away in celebration of the opening of their first Las Vegas location. This week, I attended a media preview event and while I wasn't able to unload the cash in my wallet that day...I can already predict that the next few paychecks will be deposited into their cash registers. The store is 351,000 square feet!!! It is HUGE, plan to spend a good block of time there. Customers may begin lining up at 9 a.m. PDT on Monday, May 16 – 48 hours before the store’s opening at 9 a.m. PDT on Wednesday, May 18. • Rest Assured - The first 42 adults (18 & older) in IKEA Las Vegas on May 18, 2016 will receive a FREE EKTORP three-seat sofa, honoring the 42nd U.S. store. ($499 value). • Pick a Card, Any Card – The first 2,500 adults (18 & older) will receive a random prize envelope with IKEA Gift Cards ranging from $10 to $250, or a “Buy One, Get One Free” cinnamon bun, hot dog or soft-serve frozen yogurt voucher. • Happy Birthday to You and Us – The first 100 adults (18 & older) bringing proof to IKEA Las Vegas on May 18, 2016 that their birthday is the same as the store’s can receive a gift card in the amount of $42, a tie-in corresponding to IKEA Las Vegas as the 42nd IKEA store in the U.S.
• Take it Easy – The next 100 adults (18 & older) will receive FREE warehouse picking and Zone 1 home delivery for purchases on that day. • Meatballs for a Year – The first 42 adults (one per immediate family) will receive a voucher for a monthly meatball meal for a family of four at IKEA Las Vegas’ Restaurant through next year, expiring on May 19, 2017. • It’s in the Bag! – The next 100 adults (18 & older) will receive freezer bags filled with five different Swedish meals, complete with beverages and desserts, from the store’s Swedish Food Market. • A Cold Sweet-ish Treat – The first 100 children (17 & under) will receive a voucher for a FREE soft-serve frozen yogurt available that day at IKEA Las Vegas’ Exit Bistro. ***Plus, from May 18th through May 22nd, 2016, visitors to IKEA Las Vegas may enter a drawing to win one of ten $1,000 IKEA Gift Cards through the IKEA FAMILY loyalty program. IKEA is matching the prizes (a total of $10,000) with a donation to After-School All-Stars, a local organization building the confidence and self-esteem of at-risk youth. Sweet! And since IKEA is centered around family...the opening will be enhanced with balloon artists, entertainment and face-painting. The fun will begin at 6 a.m. on 5/18. Upon walking in the store, we headed straight up the escalator to the IKEA Restaurant where we were fed a Swedish Smorgasbord! I sampled several items and they were each delicious. Of course IKEA is known for their Swedish Meatballs (Kottbullar), but did you know that there are three kinds: traditional, chicken and veggie. All delicious with their suggested sauces. I also tried three types of salmon; gravad lax, heat smoked salmon and poached salmon, very well-prepared and each so delicious. If you into pickled herring, you'll find that here as well. We sampled their sparkling pear and lingonberry apple drinks too. Refreshing and clean. And dessert...where to begin. My favorite is called Princess Cake (Bakelse Prinsess), a delicious cream cake with raspberry preserves and vanilla custard covered in marzipan. To die for!!! Plus, many of these items can be purchased to take home, you can find them in the market on the first floor. If you prefer more American fare, they have that too...seafood plates, pasta, chicken, salads, sandwiches, and vegetarian dishes too. Menu choices for the kids include a child’s portion of Swedish meatballs, chicken fingers or macaroni and cheese. The restaurant seats 450 and has a special section catered to the kids. As a matter of fact, no need to pack the bibs..there is a "bottle warming station" equipped with kid plates, bibs and a microwave. The IKEA Restaurant opens 30 minutes earlier than the store serving a full hot breakfast of scrambled eggs, potatoes and turkey sausage for just $1.00. Check out these prices...Plus, it also closes 30 minutes later than the store. Now onto the shopping...be prepared to do some walking. Our guide said the store is about a mile and half long. There are 25 zones inside the two-story store. If you will be having the kiddos with you opt to drop them off in Småland, a supervised children’s play area (for children 37”-54” in height) that replicates the look of a typical Swedish farmhouse and forest. This is available for 60 minutes of shop time or if you are an IKEA family member, 90 minutes. (We'll discuss below how to become an IKEA family member). There are no drinks or food allowed and kids must be potty trained. There is a limit of course on how many kids can stay at one time, so be prepared that in the opening weeks this may be at capacity. If it is, don't fret...there are additional play areas throughout the store and a “Children’s IKEA” area in the Showroom that also offers fun and interactive play. IKEA didn't overlook the details either...there are family-friendly parking, strollers and multiple family restrooms. Grab a yellow bag and/or a cart plus your store map booklet and a pencil. You will also find measuring tape here too if you need it. IKEA's shopping experience is unique. 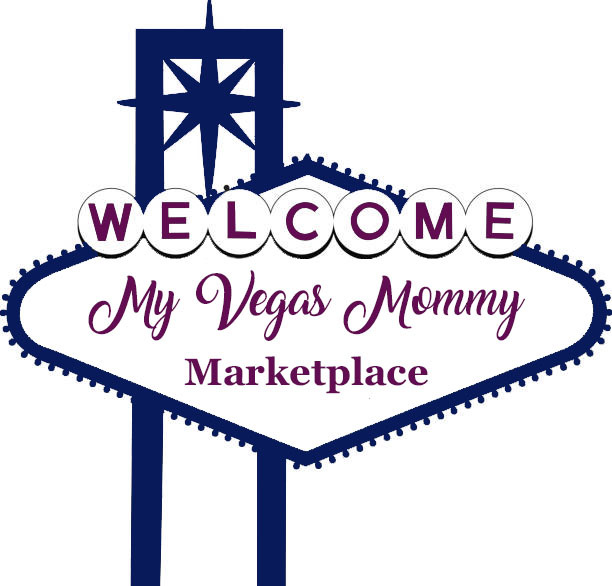 There will be items in housewares, linens, etc...that you will simply pick up and put in a bag. There will be small furniture items that can be grabbed too. The larger items will need to be pulled from the warehouse zone. In order for you to accomplish this task, you'll need to mark items in your shopping booklet so you know what to pull at the warehouse. You will find zones where you can purchase a whole room. There are also 3 homes inside IKEA on the 2nd floor. These homes are for city dwellers mostly as they only go up to under 600 sq. feet, but they are fully functional and give you great ideas. IKEA's prices are affordable too. Here are just some of the pics we took to give you an idea. Once you hit the warehouse, you can pull your items by going back to your booklet. Don't fret there are warehouse staff to help you. Don't feel like pulling them, you can have your items pulled for a service fee and even schedule delivery service too at a cost if you purchased something that doesn't quite fit in the car. Are you assembly-challenged?!? Consider purchasing their assembly service. IKEA offers great conveniences too for those remodeling or building a home too. You can schedule free design appointments with a furnishing consultant. They also offer kitchen planning and installation services. Past the checkout is the Exit Bistro. They serve hot dogs, pizza, cinnamon buns, frozen yogurt, sundaes and beverages. YUM! And the Swedish Food Market that offers some of the items I mentioned above found at the restaurant. Save even more money at IKEA by becoming part of the IKEA Family. It is basically a FREE membership program. Join here! There are kiosks around the store as well that you can sign up directly at, and it will print you out a card then and there. IKEA Family members earn an extra 30 minutes of time at Smaland, special buy offers, 90-day protection price, FREE coffee or hot tea at the restaurant, and much more! Go here to see the list of current offers available for purchase to IKEA Family members. Phew...there was so much more...you can see more of the store from our Facebook Live video here. Bottom line, get there and check it out for yourself. I know many of you are excited! This has been a long wait for Las Vegas...so, who's camping out for the opening?!? IKEA Las Vegas is the Swedish company’s 1st store and restaurant destination in Nevada, 42nd in the United States, and 385th worldwide. The 351,000 square-foot IKEA Las Vegas store, with 1,300 parking spaces, was built on 26 acres along the northern side of the 215 Beltway at S. Durango Drive, near Sunset Road. 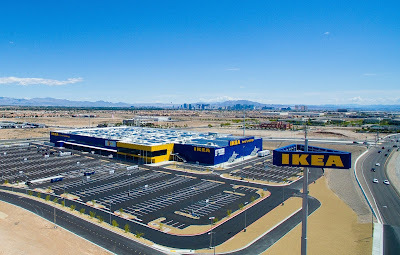 The store will reflect the unique architectural design for which IKEA is known worldwide, and host Nevada’s largest single-use retail rooftop solar array, consistent with the solar presence at 90% of its U.S. locations. Clark County Commissioner Susan Brager, and Deputy Chief of Mission for the Swedish Embassy Göran Lithell will join IKEA U.S. president Lars Petersson and store manager Amy Jensen in the May 18 ceremony of the official opening of the new store. They will also include State Senator Becky Harris raising the U.S. flag, Honorary Swedish Consul for Nevada Lena Walther raising the Swedish flag and State Assemblyman David Gardner raising the state flag of Nevada. Individual store coworkers will sing the respective American and Swedish national anthems, and “America the Beautiful,” and a sign language interpreter will accompany opening remarks.